One question is occupying my mind on today’s Feast of the Epiphany: what does God’s rupture into humanity mean following a 17-year-old trans* girl’s suicide? 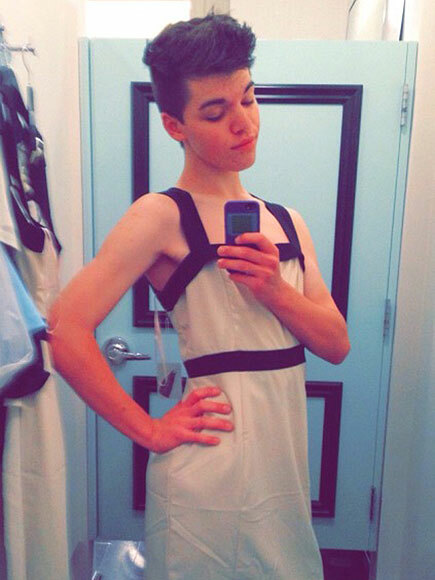 “The life I would’ve lived isn’t worth living in… because I’m transgender. I could go into detail explaining why I feel that way, but this note is probably going to be lengthy enough as it is. To put it simply, I feel like a girl trapped in a boy’s body, and I’ve felt that way ever since I was 4. I never knew there was a word for that feeling, nor was it possible for a boy to become a girl, so I never told anyone and I just continued to do traditionally ‘boyish’ things to try to fit in. Leelah describes the Christian therapists who tried to “heal” her and the social isolation her parents imposed after withdrawing Leelah from school. Instead of liberating Leelah, the Christian faith of those who could neither love her nor understand her as she had been made by God became complicit in this young girl’s death. In demanding that Leelah conform to gender expectations that are irrelevant to true faith, and to conform to identities that are false before herself and before God, self-identified disciples of Jesus failed to love this young child. Perhaps they were unaware that Paul writes to the Galatians that “there is no longer male and female; for all of you are one in Christ Jesus”? Perhaps they simply forgot that the greatest law beyond all else is love? Perhaps they were well-intentioned and good people who simply failed, as we all do? What about today’s Feast of the Epiphany amid all this? “Epiphany” means breakthrough. In ancient times, the revelation of Jesus’ divinity breaking through to all the world was seen in not only the visit of the Magi, but in Jesus’ baptism, and the wedding at Cana, instances where Christ shatters preconceptions and expectations to reveal God in new ways to new peoples. This divine rupture into human history is a most radical event. Let us resolve in 2015 to making this epiphany a reality. Resolve to ensure that the next trans* youth contemplating suicide finds positive faith voices and inclusive communities. Resolve to support parents in loving their trans* children as Deacon Ray Dever wrote about so beautifully last week. Resolve to challenge anti-transgender prejudices and correcting false information about gender in our faith communities. Resolve to be open to God’s power that breaks into our world through Jesus’ divinity and remains today through the Spirit, for with God all things are possible and indeed surprise is often God’s means. For more information on Catholic transgender issues, check out the “Transgender“category to the right. Thank you, I’m a practising Christian and couldn’t agree more. For me religion has always been about the triumph of love in the world, a world for which we can give thanks for all its variety. This includes all people whatever their gender, sexual orientation, religious convictions, or anything else. These differences aren’t mistakes, they are part of who and what we all are. Each one has challenges in life, one of which is to value ourselves just as we are, another is to learn to accept others just as they are. Anything that is less than pure love cannot come from an all-loving creative source. It is born of fear and ignorance. This is what it means to be ‘fallen’. Jesus in his own journey on earth learnt to overcame the cultural prejudices of his day, and we can work to do the same in our time on earth. Truly a tragedy. Those around this young person forgot that the greatest gift is love and acceptance of others, as they were created, is the best way to show that we love them. Recently, a grandmother with a lesbian granddaughter told me that the young lady had a “problem”. I told her that she had a problem rather than the young lady. It is beyond tragic to think that any faith tradition is behind Leelah’s death. When a young woman told me she felt she was “damaged goods” and couldn’t understand why God had made her gay I asked her in who’s image she was made in. She responded with more of a question like “could I be made in God’s image?” I said “yes, you are made in God’s image, and you are perfectly made! And I believe you were made to help people to love.” Hopefully, young Leelah’s last written words will help many more to love and allow their faith traditions to be more compassionate, loving and accepting. Thank you for this. My own father tries to use God as a cudgel to make me feel bad for transitioning. How can someone use God as a weapon against their own children? As I understand it, God is pure love and is neither male nor female, so the idea that God would somehow judge me for living my own truth is pure bunk. I am tired of people who mask their own bigotry and hate within the Christian faith and cherry-pick the Bible to justify their hate. It’s sick.